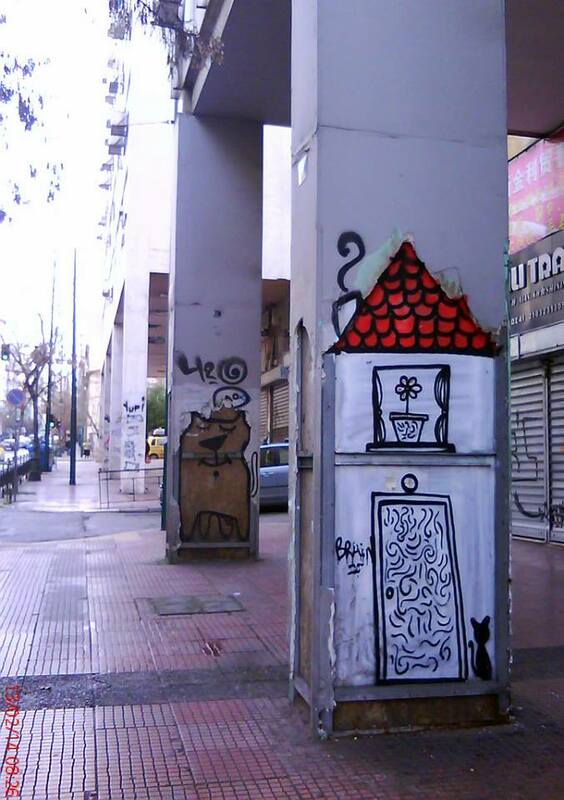 Dedicated to the homeless of Athens: the arcades that are used as temporary shelters are decorated to remind homes, warmth, human interaction. Who says you can cage imagination, you can marginalise the people’s need for a home, for human interaction? One more proof that it cannot be done.